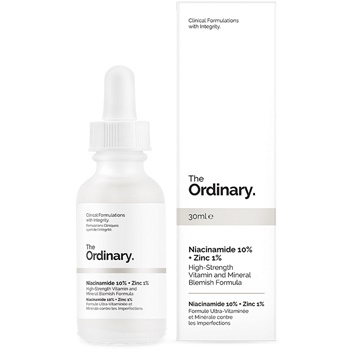 High-Strength Vitamin and Mineral Blemish Formula Niacinamide (Vitamin B3) is indicated to reduce the appearance of skin blemishes and congestion. A high 10% concentration of this vitamin is supported in the formula by zinc salt of pyrrolidone carboxylic acid to balance visible aspects of sebum activity. Contraindications: If topical Vitamin C is used as part of skincare, it should be applied at alternate times with this formula (ideally Vitamin C in the PM and this formula in the AM). Otherwise, Niacinamide can affect integrity of pure-form Vitamin C (L-Ascorbic Acid). Note: While Niacinamide and Zinc PCA reduce the look of blemishes and balance visible sebum activity, neither is a treatment for acne. For persistent acne-related conditions, we recommend the use of Benzoyl Peroxide and/or Retinoic Acid. We do not recommend the use of Salicylic Acid. 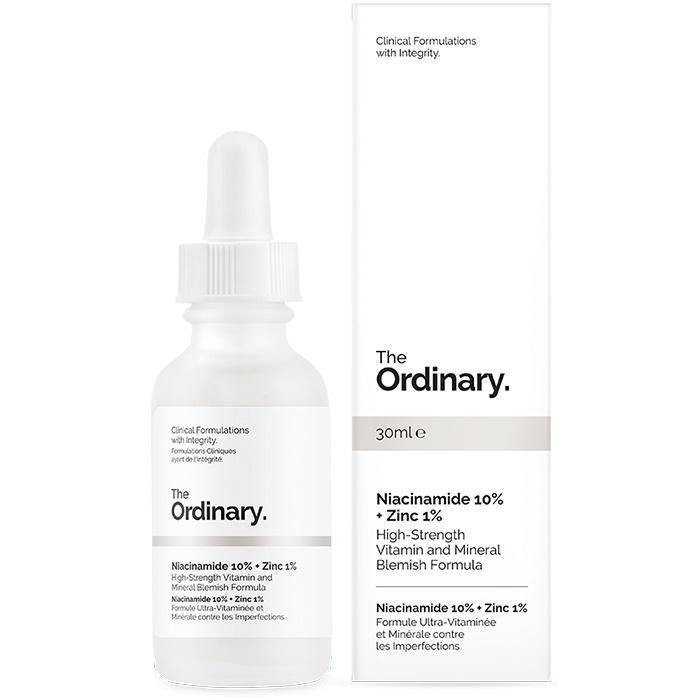 This formulation can be used alongside acne treatments if desired for added visible skin benefits. Directions: Apply to entire face morning and evening before heavier creams. I love this product! I have a mix of minimal cystic acne, small whiteheads, and blackheads. I don't think this product helps with the blackheads or cysts, but it does an amazing job at healing recently popped pimples. It calms down the redness and inflammation. If you tend to go on picking rampages you need this! Normally I would look crazy with red spots the next but this stops that. This has also helped reduced hyper pigmentation left by old cysts. And if you’re just looking for a product that generally brightens your skin, this is it. All in all I love this and will definitely repurchase!